Somer Taylor has over 20 years of performing experience. Her principal violin teacher was Pam Close, a student of the highly respected teacher Josef Gingold. Taylor took violin lessons throughout her college career, including sitting in on masterclasses taught by Yo-Yo Ma and the late Isaac Stern. 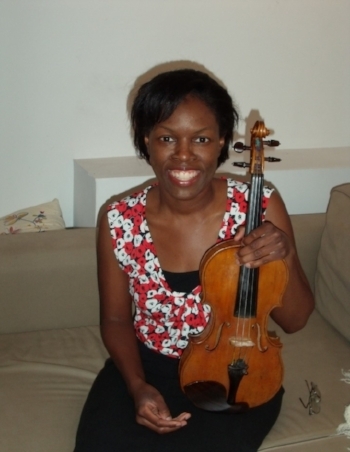 She has also taught violin lessons and composed music for a church CD project. Taylor has been a first violinist for the L.O. Newsome String Ensemble, Jacksonville String Trio and currently is a member of the DC Strings. She has also soloed for various events such as weddings, holiday events and recitals.